E-cigarettes have become especially popular over the past few years. 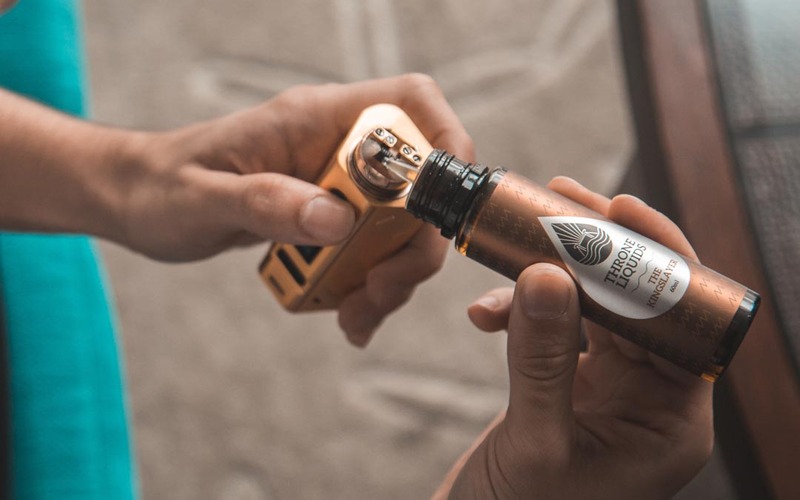 Like the e-commerce industry, they’ve been gaining more and more ground on their traditional counterparts—which means more and more businesses are shipping vaping equipment. Because of their unique parts and pieces of equipment, extra considerations are needed in planning out their shipping packaging. To be sure your customers aren’t left high (ahem) and dry, here’s 5 packaging tactics we suggest for when you’re ready to begin shipping vaping equipment. As e-cigarettes and their equipment are still a relatively new thing, every country is handling their regulations differently. You need to know what the destination country expects of your shipments, otherwise you risk delays or even legal problems. Customs authorities tend to subject e-cigarettes and e-liquids to extra security checks, so doing a little extra research is a must to save you and your business some headaches. It’s important while shipping vaping equipment to keep things in place, without putting undue pressure on them. You don’t want the bottles moving around, but you don’t want the electronics squeezed, either. Improperly packed lithium ion batteries can cause delays at checkpoints, and have even been known to catch fire. It’s a rarity, but it’s possible. Use new corrugated boxes. Any dents or rips compromise box strength, inviting more risk of product damage. Using the right void fill to cradle and cover equipment will help prevent the fragile components from cracking or breaking open. If you’re worried that leaks are likely, shipping vaping equipment in a courier bag inside a corrugated box is a legitimate packaging strategy. Using the H-taping method is an extra bit of insurance against external leaks, should an internal one happen. If you’re shipping vaping equipment that doesn’t have existing packaging of its own, it’s suggested that you pack it using the double box method. Find a small corrugated box that comfortably fits the equipment, while leaving a little room for void fill. Wrap each component in bubble cushion, place them in the box and close it with carton sealing packing tape. Then place that box into a larger shipping box, brace it with more void fill (like packing peanuts) and securely close it using more packing tape. Shipping vaping equipment in its existing packaging is always the best route to go. It’s pre-packed, looking good and provides an extra layer of protection to the shipment. Simply wrap the equipment packaging in some bubble cushion, place it in an appropriately sized corrugated shipping box with some extra void fill, and seal it tight with packing tape. All good products require packaging strategies, and all good packaging strategies take smart planning. With these packaging tactics, we’re sure your business will be well on its way to shipping vaping equipment efficiently and effectively.